For 2017, the A4 allroad quattro maintains its status at one of the most capable wagon vehicles currently available on the market with a higher ride height and Audi’s renowned quattro all-wheel drive system. 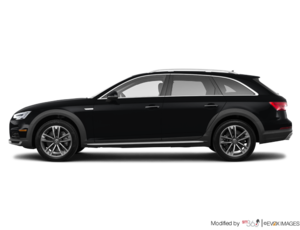 If you thought luxury and elegance couldn’t be coupled with rugged off-road ability, well then you don’t know about the all-new 2017 Audi A4 Allroad quattro. 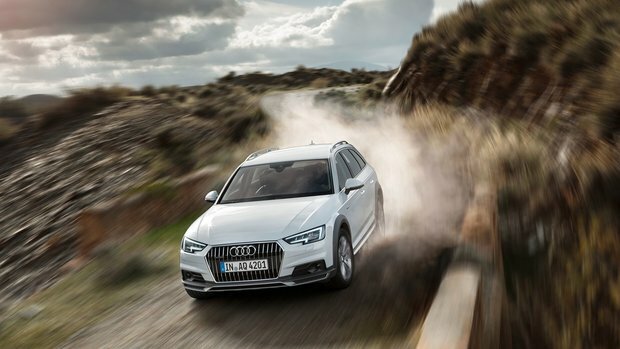 Improving on an already well-loved and trusted platform from the previous generation, this latest rendition of the off-road wagon version of the A4 takes sophistication and all-terrain capability to a new level. For starters, the 2017 Audi A4 Allroad quattro’s exterior look has been vastly improved, while also maintaining a signature Audi look that’s instantly recognizable; most notably, its gorgeous linear front grille that stretches from top to bottom. Exaggerrated and sporty wheel arches along with sleek new headlights give the A4 Allroad quattro a modernized look that’s sure to age gracefully. The same recognizeable Audi fare resides inside, but in an updated and modernized manner. Equipped with Audi’s easy-to-use MMI system and available Bang & Olufsen sound system with 3D sound and a fully digital display available as a gauge cluster. The A4 is a marvel in engineering and technology and something you’ll not want to miss (or ever leave once you sit in the cabin). And it’s not all about technology, though there is so much in this estate to discover. No Audi also had your weekend warrior needs in mind when its engineers made standard fully-folding rear seats available to provide almost triple the interior space for your most intense hauling needs. Equipped with Audi’s 2.0L TFSI engine, the 2017 Allroad quattro produces 252 horsepower sent to all four wheels and controlled via a 7-speed Tiptronic automatic transmission that makes daily driving an absolute joy. There’s no denying the all-new 2017 Audi A4 Allroad quattro was redesigned and upgraded in all the right ways. We know how hard it is to improve upon perfection, but the 2017 Allroad definitely proves its possible. With all the right technological upgrades as well as exterior tweaks that keep its look modern without straying too much from the A4 Allroad look we all know and love; Audi did a bang-up job with the brand-new Allroad. To find out more about the 2017 Audi A4 Allroad quattro Wagon, head down to Glenmore Audi today to speak to one of our experts. And don’t forget to book your test drive, too. You definitely want to take this one for a spin.